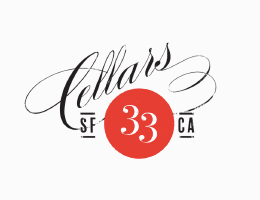 cellars-33 — Alluvial Wines Inc.
Jon Fones started as an unpaid grunt at Freeman Winery in 2007 loving every minute of it. He worked for Freeman in both 2008 and 2009. When he moved to SF in 2010 from Baltimore, Ed Kurtzman hired him a few months later to be his Assistant Winemaker - the only one he has ever had. Fones worked for Ed for about 2.5 years at the old winery on Industrial in Bayview. There he helped him make Roar, August West, Sandler, numerous other smaller projects and, of course, Fones started with Cellars 33. He also makes Von Holt Wines, starting in 2011. He's been holding steady at about 1,000 cases/year and now ready to leap forward with production goal of 2,500 cases by 2019. The general philosophy behind C33 is to make high quality wines at affordable prices without the wine industry BS. No pretense. He works with high quality vineyards thus letting them espouse the growing aspect and he guides the wines in.